Campus2Career is proud to partner with the following companies and organizations, all of which share in our mission to assist young people. IvyWise is the leading educational consulting company worldwide. Admissions is about more than just test scores and grades. Colleges take a holistic approach to evaluating applications, considering activities, interests, and other factors outside of numbers, and IvyWise takes that same holistic approach when counseling students. The IvyWise methodology empowers students to identify and utilize their strengths and interests. IvyWise’s counseling, tutoring, and research services are seamlessly integrated to give students the most comprehensive support available. This counseling approach is unmatched – there’s no other consultancy that offers this service. Stratus Admissions is the leading admissions counseling firm for business, law and graduate school. Stratus has helped thousands of applicants achieve their dreams since 2006. A Team of Experts. Each applicant is paired with a Primary Counselor. Together, this pair walks through the application process from start to finish. Along the way, candidates tap additional expert resources to refine the candidate’s overall narrative, incorporate school-specific knowledge, and inculcate feedback on all written parts of the application. Proprietary Processes. With all of our experience, Stratus has developed a process to help applicants probe their background, develop their best thinking and synthesize their their unique story into a cohesive whole. Our 4-school Guarantee. We are very confident of our expertise, processes and experience. As a result, we offer a 4-school guarantee to those business school applicants who qualify. If, for some reason, an applicant is not successful in their first effort, Stratus will work with that applicant again at no charge to successfully gain admission. Every year, our clients gain admission into the top schools in their field, including but not limited to the following: Harvard Business School and Harvard Law School, Stanford GSB and Law School, Yale Law School, Booth School of Business, as well as the schools at NYU. Candidates can learn more about their chances for admissions via a free, 30-minute consultation by reaching out to Stratus here. During the consultation, the candidate and an expert counselor will analyze strengths and weaknesses in context with target schools, and develop a game plan to maximize chances at success. Posse is one of the most comprehensive and renowned college access and youth leadership development programs in the United States. Founded in 1989, Posse identifies public high school students with extraordinary academic and leadership potential who may be overlooked by traditional college selection processes. Posse extends to these students the opportunity to pursue personal and academic excellence by placing them in supportive, multicultural teams—Posses—of 10 students. Posse partner colleges and universities award Posse Scholars four-year, full-tuition leadership scholarships. For 25 years, Posse partner colleges and universities have welcomed Posse Scholars onto their campuses. They have awarded an incredible $688 million in leadership scholarships to these young people and have seen their success not only as leaders on campus, but in these students’ 90 percent persistence and graduation rate. 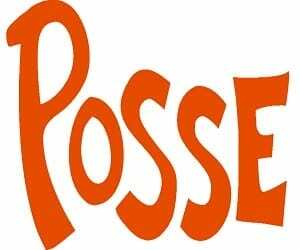 Posse’s partners are investing time, energy and resources in the promotion of equity in education and social justice. They believe in the intelligence, talent and dreams of young people who might not always show up on their radar screens, and are giving them a chance to excel.